I love this camera. As with their X100S (read my review), the X-E1 is another example of how Fujifilm can make a camera with almost everything just right. Frederick Van Johnson and I discussed the X-E1 on episode #8 of All About the Gear. 16MP APS-C (1.5x crop) X-Trans sensor (Fujifilm’s unique technology). Better and smaller than the X-Pro1 (which I didn’t particularly like). Good Fujinon and Zeiss lenses available. Currently US$1,000 with the very good 18-55mm kit zoom lens. US$800 for the body only. The X-E1 feels great in the hand. It’s slightly larger than the Sony NEX-6 and -7, but weighs about the same. It feels more substantial and better made than the Sonys. It has a pro feel to it. The top deck of the camera is available in black or silver. The camera is not weather sealed. After the weight, substance and feel, the next thing you notice about any camera are the controls, and Fuji has nailed these. Everything is there and pretty much in just the right place. As with the X100S, you get dedicated aperture and shutter-speed controls. The aperture ring on the lenses looks and feels like you’re adjusting a mechanical iris, but they’re actually aperture-by-wire controls. The giveaway is that they all have an “A” position for shutter-priority, program or auto-exposure modes in which the camera selects the aperture setting. The shutter dial has an “A” position as well, for all modes except shutter priority. It’s another one of those things like their sensors that Fuji does just a little bit differently but works very well. The shutter-speed dial has positions for only 1EV increments (eg, 1/500, 1/1000, 1/2000) but you can quickly select 1/3EV intermediate values with the rear selector. Again, different but effective. For all but manual-exposure modes, there’s also a nice big exposure-compensation dial right there on the top. Fuji was one of the first manufacturers to offer a (Q)uick menu button. On the X-E1 it’s located far to the right along with the AE-l/AF-L button. A friend who used the camera had a bit of trouble with it, but I found it very easy to locate and not bump accidentally. The (Q)uick menu has all the usual options, but I kept trying to select things with my finger. Unfortunately, the LCD is not touch sensitive on the X-E1. I’ve been spoiled by the Lumix GX7 and others that have this feature. The focus selector (manual, single or continuous autofocus) is located on the front of the camera, easily found with the left hand. Why doesn’t every camera have a dedicated switch like this? There’s a programmable Fn button on the top deck just to the right of the shutter release. I liked using it as a quick way to get to the ISO settings. At first I was disappointed that I therefore couldn’t use it for depth-of-field preview, but then I discovered that you can see the actual DoF through the viewfinder and on the LCD when you press the shutter release half way. 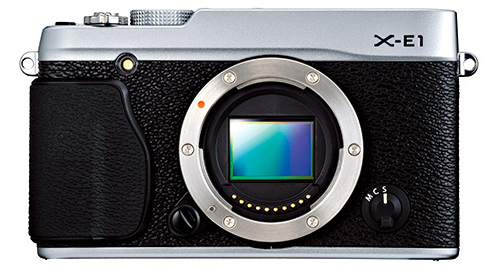 The X-E1 continues the deployment of Fuji’s X-Trans sensor technology. The images just look great. There’s no anti-aliasing filter, which I believe is a benefit Fuji claims for their sensors. It helps keep the images sharp. 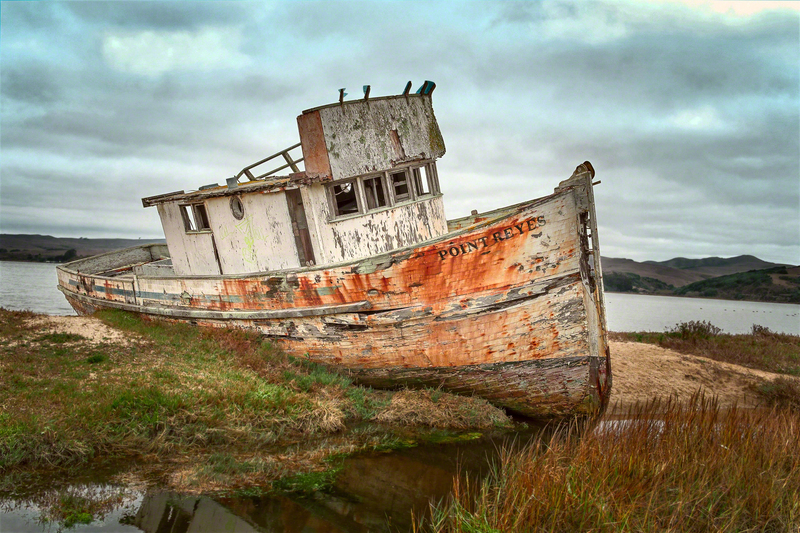 Like the other current-model Fujifilm cameras, the X-E1 has some excellent film-emulation modes for JPEG images. The camera works well in low-light situations. Color images look good up to ISO 1600. Monochrome (where noise is less objectionable) is very usable to ISO 3200 and beyond. The shutter operates up to 1/4,000 second at up to 6 frames per second. There’s a bit of shutter lag, which I understand is gone in the X-E2. The autofocus speed of the X-E1 is good enough but certainly not impressive. It uses only contrast whereas the new X-E2 adds phase detection and promises to be much faster. One nice feature is that not only can you reposition the autofocus area, but you can also resize/zoom it. I can imagine that being handy for some situations. Nothing unusual in the metering/exposure department except for the greatly appreciated exposure-compensation dial right there on the the top deck. In the X-E2, it has been increased from +/-2EV to +/-3EV. Because there’s a dedicated manual/auto switch on the front of the camera, the X-E1 starts out as a pretty good camera for those of us who sometimes like to focus manually. Also out of the box, pressing the AE-L/AF-L button will cause the lens to focus even if an autofocus mode is selected. This is the “rear-button focus mode” that I and others use quite often. The EVF and LCD have focus peaking, which is a terrific aid for manual focus. Unfortunately, on the X-E1 the focus peaking isn’t particularly bright and it only appears in white. Other cameras do a better job of this by offering a brighter focus-peaking display and the option of showing it in other colors. Hopefully the X-E2 will do the same. Two other features are very helpful. If you press in the top-rear dial, you enter a focus-zoom mode. You can then rotate the dial to zoom in for fine-tuning your autofocus. It’s a bit awkward at first, but once you adapt, it’s quite helpful. Another feature is the display of a focal-distance and hyperfocal scale in the EVF and LCD, similar to the X100S. This is a brilliant concept, and even more helpful than having on the lens. Apparently not all lenses send the focal distance back to the camera. For example, when using the Fujinon 14mm you don’t see this info in the viewfinder, although that lens does have hyperfocal markings on the lens itself. The X-E1’s rear LCD isn’t anything to write home about. At 2.8″ and 460k dots, it’s slightly smaller and lower resolution than the better cameras. This has supposedly been rectified in the X-E2. The LCD doesn’t tilt or articulate, something which I personally miss for getting those low-perspective shots. It’s also not a touch-sensitive LCD, a feature that’s particularly useful in combination with the (Q)uick menu and is becoming common with many other manufacturers. Fujifilm just hasn’t yet gotten on the articulating-LCD bandwagon. You can choose to display a monochrome histogram during shooting but no individual histograms for the RGB channels. But worst of all, the histogram is useless. This is a flaw in all of the Fujifilm cameras I’ve tested, and I just don’t understand why. As far as I can tell, the histogram shows the exposure range for the LCD display and EVF, which are artificially adjusted to make the image viewable in spite of the actual exposure. You could be three or four stops under- or overexposed, but the image in the LCD and hence the histogram will look great. The vertical exposure scale in the EVF and LCD is accurate, so why can’t Fuji make the histogram accurate as well? I just don’t get it. If you’re one who wants to “expose to the right” the X-E1’s histogram won’t be much help in doing so. The electronic viewfinder is good. The specs say it’s 0.5″, 2.36k-dot OLED, and I find it bright and easy to see the entire image, even while wearing glasses. As I mentioned above, the only two problems are (a) the focus peaking is hard to see, and (b) the histogram is useless. Thanks to BorrowLenses.com I had a great set of lenses to test for this review. Fujinon Super EBC XF 18-55mm f/2.8-4.0 R LM OIS ASPH. US$700. This kit lens is very good, and I recommend buying the camera this way for the bargain incremental cost of only US$200. I was surprised by how good my images captured with this lens looked. Optically stabilized. Zeiss Distagon Touit 12mm f/2.8. US$1,000. I really fell in love with this lens. When I first wrote about it, I called it “fun” only then to then read other reviews that referred to it in the same way. The lens is super sharp. It has the distortion you’d expect from such a wide-angle lens, particularly when objects are close and near the edges of the frame. But this lens will really bring out your creativity and force you to get close! Although the Touit lenses look very cool with their smooth styling, I find that styling a bit impractical. They have very smooth rubber rings for focus and aperture, which makes them tricky to use, particularly when wearing gloves. In the case of this 14mm, it flares out quite wide at the front end in order to accommodate a 67mm filter. Unfortunately, that makes it harder to get into and out of a small camera bag. The lens is only slightly longer than Fuji’s 14mm, but it just feels like a big lens. Fujinon Super EBC XF 14mm f/2.8 R ASPH. At US$900, this the the alternative to the Zeiss 12mm. Tough choice. This, too, is a great wide-angle lens, and I do recommend it. It’s obviously not as wide-angle as the 12mm Zeiss, but it does have some advantages. First it’s smaller, particularly the front width. This lens uses a much smaller 58mm filter. It’s also the complete opposite in style from the Zeiss Touit line. If you pull the focus ring back, it automatically switches the camera to manual-focus mode and exposes an old-style focus ring w/hyperfocal markings. As I’m personally using manual focus more and more these days, this gives me a great one-step way to quickly switch to manual and focus. With all other lenses and cameras, you first have to switch modes and then grab the lens to focus. Just one step with this puppy. Brilliant. Unfortunately, when using this lens in manual-focus mode, you don’t see the excellent hyperfocus/ depth-of-field scale in the viewfinder like you do with the Zeiss and other Fujinon lenses. This or the 12mm Zeiss? A very tough call, but at only US$100 (street price) more, I’d probably go for the 12mm just for the fun factor. Zeiss Planar Touit 32mm f/1.8: US$720. Design-wise, this is just like the Touit 12mm described above: a very slick look with smooth-rubber rings for aperture and focus. I probably shot more with this lens than with any other. With an angle-of-view roughly the same as a 50mm lens on a full-frame camera, it’s great for general-purpose walkaround shooting. No image stabilization, but very sharp. I did not get to test the Fujinon 35mm (US$600), but from other reviews I’ve read, it appears to be a good and slightly less-expensive alternative. Fujinon Super EBC 60mm f/2.4 macro ASPH: An excellent lens. It’s sharp and long enough for portrait work. I shot a lot of handheld macro shots with this lens and really enjoyed the shooting and results. No image stabilization, but it does support the EVF/LCD hyperfocal scale. I’ve also read that the Fujinon 55-210mm is a good lens, but I didn’t have one to test. The video specs are again a bit below par on the X-E1: 1080p at only 24fps. There are both an HDMI output as well as an external mic input. The X-E2 looks quite a bit better on paper: up to 1080p 60fps and a 36mbps HDMI stream. Note that my testing of the video on the X-E1 was not particularly thorough. Neither are available on the X-E1, but the X-E2 promises WiFi for transferring images to mobile devices. The X-E1 is a very strong player in this category, with the greatest competition coming from it’s own replacement, the X-E2. Sony NEX-6. US$650 (body only) or US$800 with the 16-50mm kit lens. 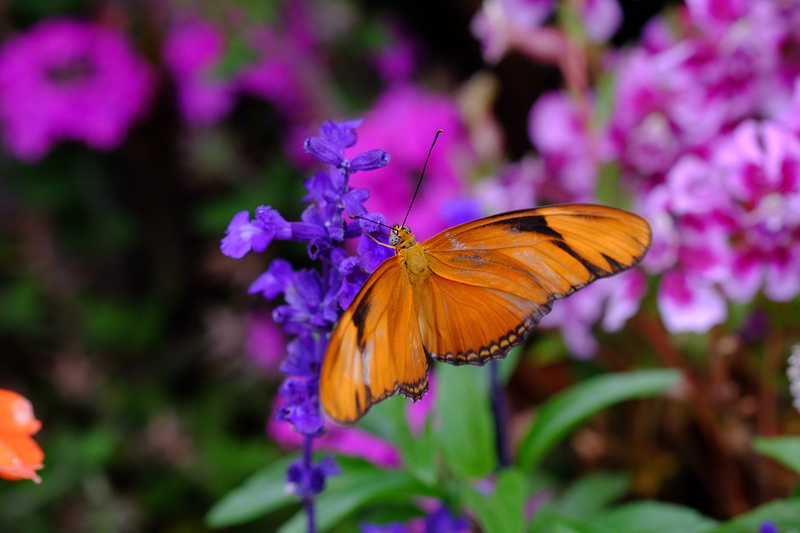 With a very similar 16MP sensor and slightly better autofocusing, the NEX-6 is an obvious competitor to the X-E1. You can even buy the same Zeiss Touit lenses for Sony e-mount. The real question is the extent of Sony’s commitment to the NEX (APS-C) series of cameras now that they’ve made such a splash with the full-frame a7 line. The NEX cameras suffer from perhaps the worst LCD menu system on the planet, whereas the a-series are excellent in this regard. Will the next NEX cameras adopt the superior menu system? If there’s one thing that’s keeping me from abandoning my own NEX-series bodies and jumping onto the Fuji bandwagon, it’s Sony’s articulating LCD and Fuji’s lack thereof. I love shooting from low and high angles, but I’m decreasingly able and willing to lie on the ground to get those shots. C’mon, Fuji. Just give us a touch-sensitive articulating LCD and you could own the APS-C universe. Fujifilm X-E2. US$1,000 (body only) or US$1,300 with the 18-55mm kit lens, shipping in mid-November 2013 (ie, about now). This is the most obvious competitor to the X-E1 and it’s hard to imagine not going with the updated version. Fuji’s claimed improvements include: hybrid autofocus, offering “the world’s fastest AF speed of 0.08 seconds”, a 2x faster EXR processor, Lens Modulation Optimizer (LMO) tuned for each individual lens, 7fps, 28-frame buffer (JPEG only, I assume), shutter lag reduced to 0.05 seconds, the same spectacular sensor as on the X100S, a much-improved 2.36 million dot 3″ OLED viewfinder, 1.04 million dot LCD, exposure compensation increased to +/-3EV and 1080p 60fps video up to 36mbps. I’m particularly curious to see how well the LMO technology works. Supposedly it can compensate (JPEG-mode only?) for the diffraction than occurs when lenses are stopped down as well as edge blur and smearing. Fuji says it’s compatible with all XF lenses, which includes only the 18-55mm reviewed here. No idea if the Zeiss Touits will benefit from LMO. Fujifilm X-Pro1. Forget it. It has the same sensor as the X-E1, but it costs more and isn’t as nice to use. Fujifilm X100S. If you can live with a 23mm fixed lens, this is a marvelous camera. It’s better at what it does than the X-E1 and it’s a lot more compact. 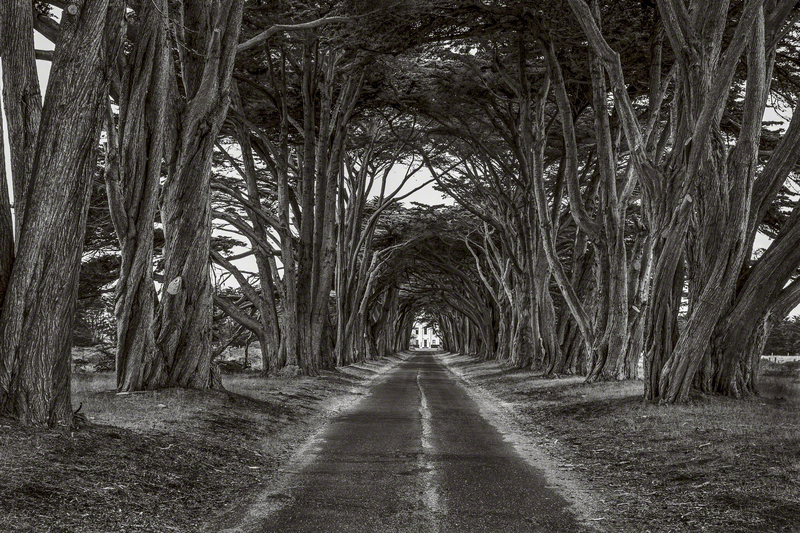 Hey…why not get an X-E2 and and X100S? It’s a no-brainer. Get the X-E2 US$1,400 with the 18-55mm kit lens unless (like me) you really want an articulating LCD. You could go for the XE-2 body only for US$1,000, but I think you’ll like the utility and image quality of the 18-55mm. As for the prime lenses, it’s a tough call as to whether to get the Fuji or Zeiss equivalents. I’d suggest you rent or borrow first and form your own opinions. Thanks for the review Doug. How did you process these images? I have an X-E2 but can’t get the sharpness that I see in your sample photos. I’m using Lightroom and Photoshop and I’m struggling to get images of that quality. Can you give me some processing advice? I use many different techniques, so it’s hard to answer here, Dennis. If you have one image in mind, perhaps I can tell you what I did. In general, however, diffraction is the problem. With a 16MP MFT sensor, you can see the problem at apertures as small as f/5.6, so try to shoot at f/4 or wider when you can. By all means avoid f/11 or smaller.